To insure the proper notification to authorities of all timber harvesting in unincorporated Toombs County, for the purpose of protecting and maintaining the county owned roads and right of ways and to provide for the requirement of a surety bond or irrevocable letter of credit to protect the county against any loss or damages to county property resulting from said timber harvesting.Notification Requirements and BondsA. All persons or firms harvesting standing timber in any unincorporated area of Toombs County for delivery as pulpwood, logs, poles, post or wood chips to any wood yard or processing plant located in Toombs County or inside or outside of the State of Georgia must provide notice of such harvesting to the Toombs County Commissioners or the designated agent thereof prior to cutting any such timber. Prior written notice is required of any person or firm for each separate tract harvested. Any tract or parcel of timber of sufficient size to require a separate pair of ingress and egress points over a county owned right of way shall require a separate notice. (1) A map of the area that identifies the location of the tract to be harvested and the main point of ingress from a public road and the main point of egress to a public road if different. All point of ingress and egress are subject to the approval of the Toombs County road department. The Road Superintendent shall make note of any pre-existing problems in these areas. C. Each notice of intent to harvest shall not be, or remain, in effect for such harvesting operations unless and until the person or firm providing such notice has delivered to the office of the Toombs County Commissioners a surety bond in the amount of $5000.00 executed by a surety company licensed to do business within the State of Georgia or at the option of the person or firm harvesting timber a valid and irrevocable letter of credit issued by a bank or savings and loan association in the amount of $5000.00. Such bond shall protect Toombs County against any damage caused by such person or firm, tendering the surety bond or letter of credit, or any agent, employee or contractor or said person or firm and will be used to reimburse Toombs County for any cost incurred to repair the county right of way, to re-ditch or repair existing ditch structure or for the removal of any harvesting residue to include but not limited to tree tops, debris, logs, pulpwood and other materials placed in or around said right of ways. Said bond shall cover all harvesting operations in Toombs County for that operator unless that bond is forfeited or claimed against to reduce the covered level. Said bond shall also be used to offset any cost to maintain or repair county roads damaged by ingress or egress of trucks engaged in said harvesting operation. The Toombs County Road Supervisor shall be responsible for the determination of said damages or losses. The company responsible for operations under the timber notification will be given notice of the damage and allowed 72 hours to restore the road to a safe and operable condition as determined by the Road Supervisor and the County Manager. All repairs, material used and final releasing condition shall be approved and accepted by the Road Supervisor and County Manager. The timber operator shall be responsible for any cost associated with signing, closing or the use of safety equipment required during that seventy-two hour period. If a Surety Bond or letter of credit is held, claimed against or forfeited for any amount to reimburse the county for such damages then any notice that is dependent on said bond shall not be, or remain, in effect for such harvesting operations unless and until the person or firm shall cause to be delivered to Toombs County a separate Surety Bond or letter of credit in the amount of $5000.00. For purposes of this section any such surety bond or letter of credit shall be valid only for the calendar year in which delivered. D. Notice shall be effective for such harvesting operation on such tract within the unincorporated area of the county upon receipt of the same by the governing authority of Toombs County or its designated agent and upon compliance with the requirements in paragraph C of this section and at a time when posted at the harvesting site and until said time that the harvester gives notice as to the completion of said harvest to the governing authority of Toombs County. Any material change in information provided on said notice must be submitted to the governing authority within three business days. E. Notice shall be applicable to any timber harvested on or after the effective date of this ordinance. F. The Surety Bond or letter of credit may be released by the Governing Authority of Toombs County upon notification of completion by the person or firm harvesting said tract and only upon final inspection of the harvesting site, points of ingress and egress, all affected right of ways and county roads leading to and from the harvesting site by the Toombs County Code Enforcement Officer and if necessary by the superintendent of the Road Department of Toombs County. The Surety Bond or letter of Credit may be retained against future or continuing operations by the company in Toombs County. G. Violation of the notice requirements shall be prosecuted in the Magistrate Court of Toombs County and upon conviction the violator shall be subject to a fine not to exceed $500.00 per violation. 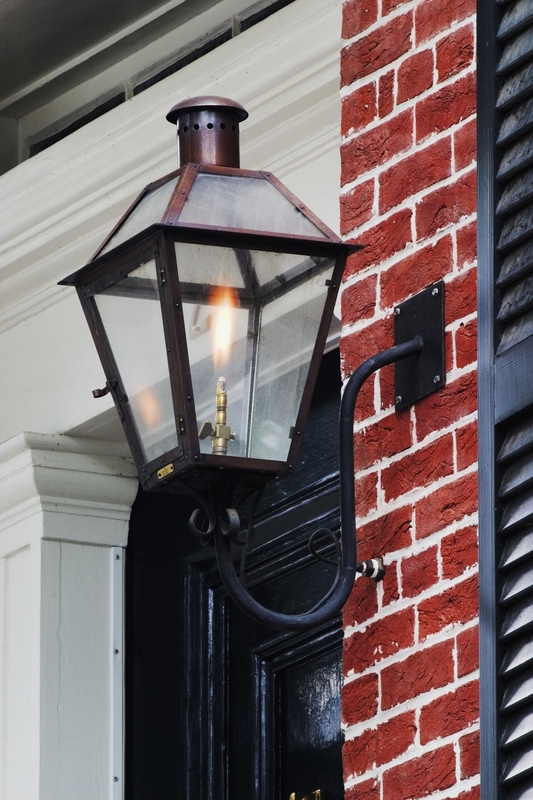 Each day of operation without sufficient and legal notice or without a surety bond or letter of credit shall constitute a new and separate violation of this ordinance. H. Nothing in this section shall be interpreted as a requirement of any persons or firms harvesting standing timber in any unincorporated area of Toombs County for delivery as pulpwood, logs, poles, post or wood chips to any wood yard or processing plant located in Toombs County or inside or outside of the State of Georgia to obtain a permit before commencing said harvesting operation. A. Pursuant to the Official Code of Georgia Annotated §32-4-42 Toombs County shall have the authority to adopt and enforce rules, regulations and to perform all acts which are necessary, proper and incidental to the efficient operation and development of the county road system. This section shall be construed to convey on Toombs County the power and duty to restrict the access of timber or other commercial vehicles to county roads at such times when access by those vehicles may cause damage to the county road system. Toombs County requires that all timber trucks operating in the County take the most direct route from the harvesting site to the state routes on approved routes with sufficient weight clearance. B. Any power vested in or duty placed on Toombs County but not implemented by specific provisions for the exercise thereof may be executed and carried out by Toombs County in a reasonable manner subject to such limitations as may be provided by law. A. Pursuant to the right of the county to protect all county owned right of ways, ditches, drainage pipes and county roads and streets under its jurisdiction in accordance with Title 32, if any logging operation or timber harvesting site needs to cross ditches or shoulders of roads to have ingress or egress to the harvesting site and where in the judgment of the Supervisor of the Toombs County Road Department a temporary driveway is required to protect county owned right of ways, ditches, drainage pipes and county roads and streets under its jurisdiction, such driveway must be installed before harvesting operations can commence. The harvester can at their option install such a temporary driveway with a drainage pipe of appropriate specifications or request the county to install said driveway at the expense of the harvester. The minimum width of any driveway installed in furtherance of this paragraph shall be forty (40) feet. 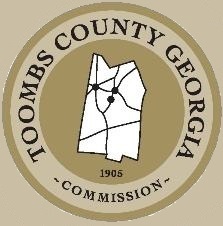 This section shall be construed to convey on Toombs County the power and duty to restrict the access of timber or other commercial vehicles to county right-of-ways at such times when access by those vehicles may cause damage to the county road system. A. 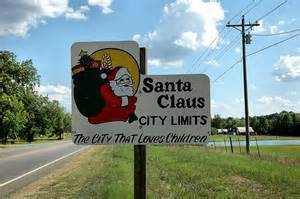 Enforcement of this ordinance shall be the responsibility of the Code Enforcement Officer of Toombs County or their designee. All violations will be under the jurisdiction of the Magistrate Court of Toombs County. B. Toombs County reserves the right to pursue any civil remedies for damages in excess of said surety bond or letter of credit or to institute an action for injunction or mandamus to prevent any unlawful act or to correct or abate a violation of this ordinance. Should any sentence, section, subsection, paragraph or provision of this ordinance or the application of any provision of this ordinance be declared invalid or unconstitutional by a court of competent jurisdiction, such declaration shall not affect the validity of the ordinance as a whole nor any part thereof that is not declared to be invalid or unconstitutional. Any changes in the provisions of the Official Code of Georgia Annotated specifically Article 1 of Chapter 6 of Title 12 that alters or amends any penalties or provisions of this ordinance shall be constituted as part and parcel of this ordinance. Any conflicting ordinances, resolutions or part of ordinances or resolutions in conflict with this ordinance are hereby repealed. Be it further ordained that this ordinance shall take effect immediately after passage by the Toombs County Board of Commissioners and shall be enforced from and after said date. 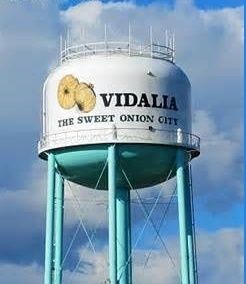 So adopted and approved by the Board of Commissioners of Toombs County, Georgia this 10th day of February, 2009.